$80 (Members and eligible concession card holders $70). Bookings by Thu 28 June. 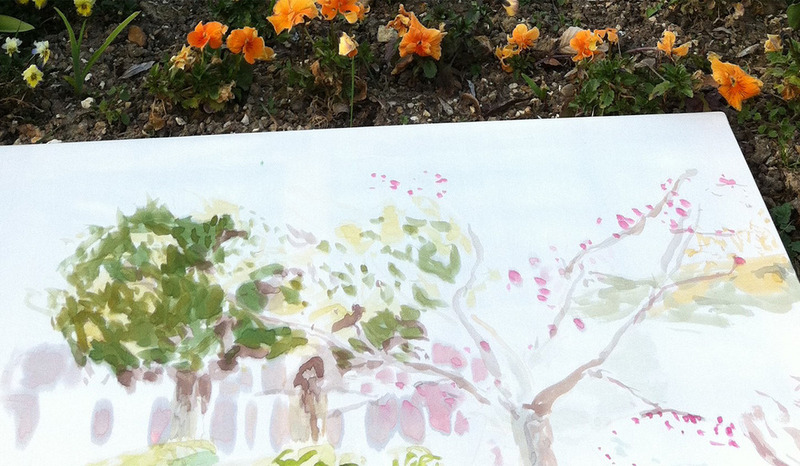 Rug up warmly and join artist-in-residence Anne-Marie Jean for a fun and exploratory outdoor watercolour painting workshop on the veranda at Lanyon Homestead with water colour painting on paper and stretched silk. Anne-Marie Jean is an experienced painter and tutor and is Lanyon’s 2018 Artist in Residence. She began exploring watercolour painting on silk during a research trip to Monet’s Garden in 2014. She has spent many years painting in the outdoors and brings to her teaching and love of landscape, colour and abstraction. Some experience with watercolour useful and not essential. While all materials are provided feel free to bring your own water colour brushes and paints/accessories if you have them.